The building on the right has a two BR apartment on each floor. 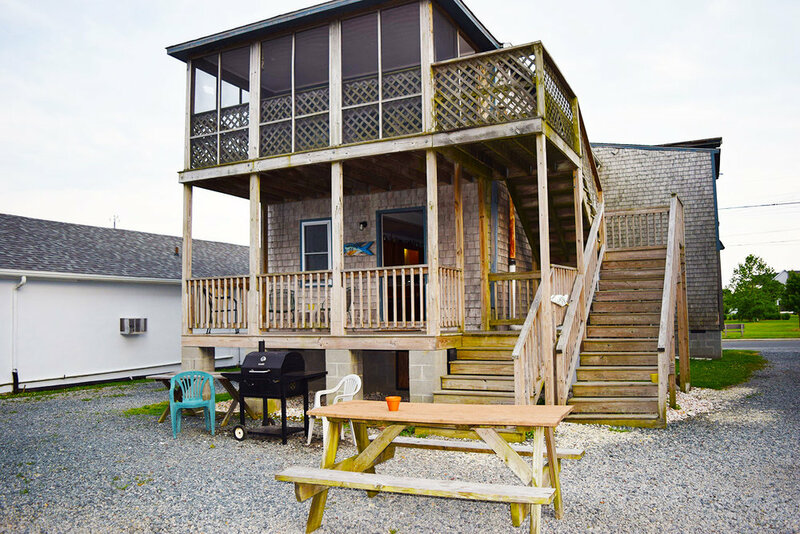 Enjoy all the comforts of home with a great view of the salt marsh. 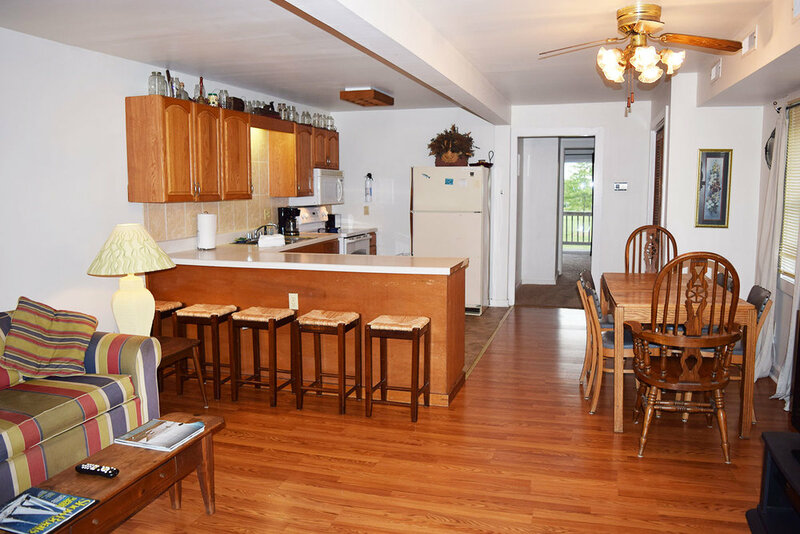 Big flat screen TVs in each living room, fully equipped kitchens, and porches. We have some designated pet friendly rooms and charge a one time fee for pets. Pet fees are $15 for dogs under 40 lbs., $25 for dogs over 40 lbs. Smoking is not allowed in any of our rooms. We will charge $150 fee if a guest smokes inside one of our rooms. We do have nice chairs and ashtrays outside each door, on an covered patio, providing a nice area for smokers to smoke. All room rates are based on double occupancy. All Rates are per day, plus 9% tax. Each additional person $10 extra per night. Roll-away beds $14 (one time charge). We ask for a deposit of one night's stay to hold your reservation and 2 weeks notice for any change of plans. Should you need to cancel less than 2 weeks prior to your arrival date, you forfeit your deposit. Our cancellation fee is $25 for changes made more than 2 weeks in advance. We always try to accommodate everyone and appreciate you working with us.